A serious accident in southwest China's Nanning City this morning has left five dead and 13 survivors trapped inside two vehicles. 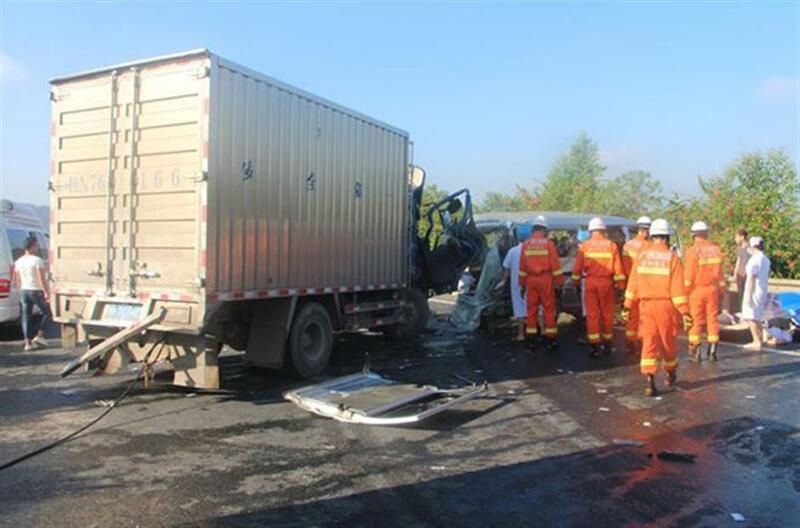 Five people were killed and 10 others injured after a van collided with a truck in southwest China’s Guangxi Zhuang Autonomous Region this morning, China Central Television reported. 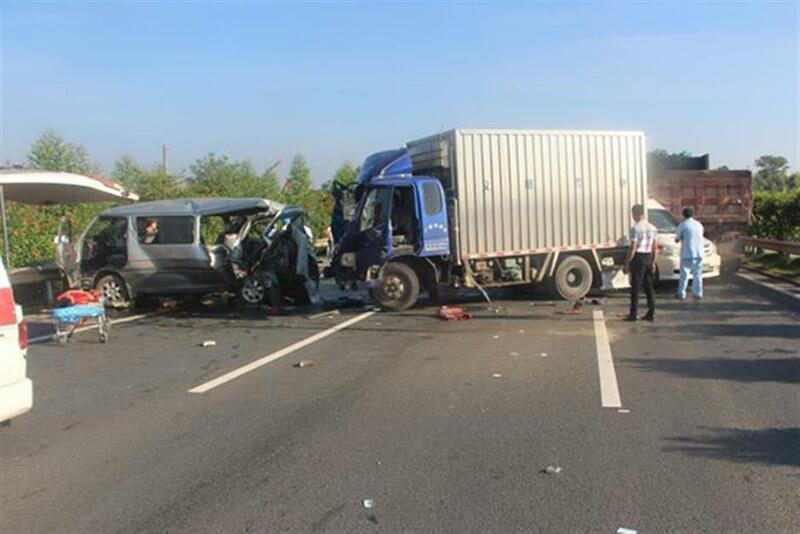 A truck crashed into the rear of a van on the South North Expressway in Nanning City around 7am. As of 12:30pm, five people had been confirmed dead on the scene. After the accident, one person was trapped in the truck while a dozen were stuck in the van. The injured have been sent to a hospital for treatment.